Looking for an amazing website without breaking the bank? Let us help! TBare.com provide quality web design with a strong focus on security so you can rest assured that your site is secure, well coded, and up with the latest standards. Working with WordPress since 2011, we've got the experience you can trust to get the job done on time, and on budget. Reliant Cellular is a cell phone retail location in Texas. This website is has a responsive WordPress theme with e-commerce, and custom plugins, and integration with their custom version of Inventory Manager. Alamwar is a hand-made, Indian inspired textile, clothing, accessory, and home goods manufacturer in Illinois and Florida. This website is has a highly customized, responsive WordPress theme with e-commerce, and custom plugins. JDraper Glass is an artistic, educational & entertainment studio providing hands on hot glass opportunities. This site is a fully custom, fully responsive WordPress theme with online registration for classes through a calendar, some custom plugins to enhance the functionality of the calendar, and a ton of other features. Córdoba Health Care is a medical clinic with dedicated medical professionals and volunteers committed to providing low cost, basic medical care to the Greater Peoria area. This website utilizes a customized, responsive WordPress theme. JS Industrial Corp is focused on serving industrial customers though resale and recycling of surplus tools and equipment. This site is a fully responsive, custom WordPress theme with parallax backgrounds, and a clean design. LifeLine Pilots is an organization that facilitates FREE transportation for such medical needs as on-going medical treatments, diagnosis and follow-up care. This site is a fully responsive, custom WordPress theme. The Music Experience is an internet radio station featuring “The Best in Jazz and R&B.” This site is fully responsive, customized WordPress theme with membership levels, and custom plugins. Hot Iron Blacksmith is a site for Bud Harvey, a blacksmith in Central Illinois. This site is a fully responsive, custom WordPress theme with custom post types and a couple custom plugins. The Catholic Post is the newspaper of the Diocese of Peoria, IL. The site is a fully responsive, completely custom WordPress site. The Grove on Kickapoo Creek is an HOA for a thriving community in Bloomington Illinois. This site includes a fully custom WordPress theme. The Peoria County Genealogical Society is a volunteer organization whose purpose it is to preserve, perpetuate, and replicate the records of our Peoria County Illinois ancestors. The site is a custom WordPress theme with password protected content sections and several custom post types. The Peoria Playhouse is an interactive children’s museum in Peoria, Illinois. The website utilizes a 100% custom WordPress theme with custom post types. Heart Technologies is an IT Service provider servicing much of Illinois. This site is an original WordPress theme with custom post types and plugins, all developed by me. Looking to improve your web presence? Need a website refresh, or just looking for a site that's easy to maintain? 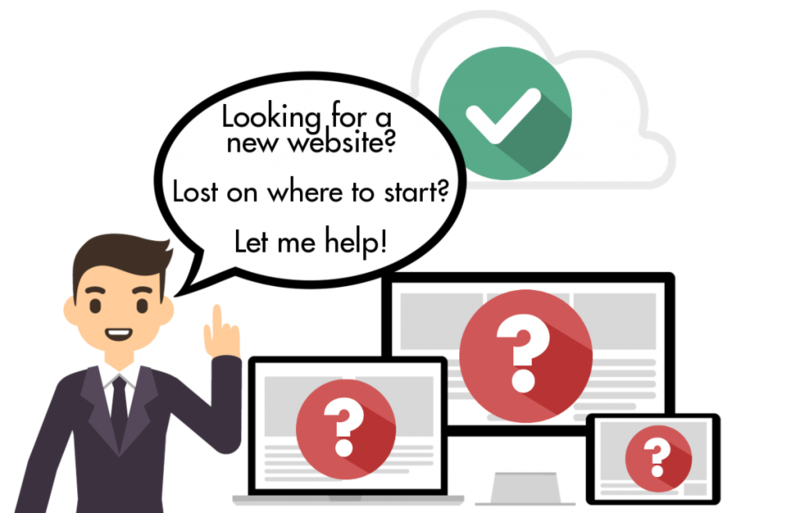 I can help guide you through the steps of a new website! Specializing in small / medium sized business clients, my websites are simplistic by design. Browse my collection of software – maybe there’s something that can help you out! Need to start a remote session? Have a question about any of my software? Get the help you need here. Just want to send me a quick note? Shoot me an email on my contact form. Need to pay an invoice or download your custom software? Log in to the client portal here!